I've been on a bit of a time travel kick recently, even before Looper came along to blow my mind with its twisty time-bending plot and its uncomfortably realistic vision of the future (well, except for the time travel, of course). Time travel has been one of my favorite literary devices since I devoured the kiddie book Time at the Top as a dreamy tween. Since then, I've fed that love with The Terminator and Doctor Who and The Time Traveler's Wife. But ever since I read (and adored) Stephen King's "let's kill Oswald" opus 11/22/63 last year, I've moved into overdrive in my pursuit of time travel books. Read on for some favorites. I'm not saying the following books are perfect, by the way. Some are excellent; others are merely interesting in spite of their flaws. But you're bound to find something here to suit your reading tastes. The End of Eternity by Isaac Asimov — There's a good reason this is one of the classics of science fiction. 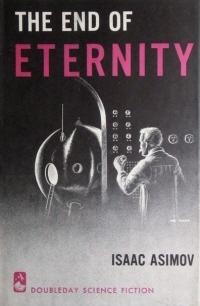 The End of Eternity, published in 1955, tells the story of Andrew Harlan, one of the men tasked with traveling through time to make minute adjustments that keep humanity on track. It's a cold book, with a passionless man finding passion and jeopardizing absolutely everything he believes in for a woman. Despite the rather bloodless characters, the story is gripping, and once you understand what Eternity signifies within the context of the book, the title becomes portentous. Doomsday Book by Connie Willis — Oh, this book. This gorgeous, heartbreaking book. Connie Willis has written several books that deal with time travel, but this one destroyed me with its sad, powerful beauty. Kivrin is a scholar from the near future who travels to the fourteenth century, where she deals with situations I wouldn't dream of spoiling here. One of her dilemmas is how she will deal with being an unescorted woman at that time — an interesting gender conundrum that not enough time travel tales tackle. The characters — both the heroes and the cowards, the suspicious and the open-hearted — will stay with you. 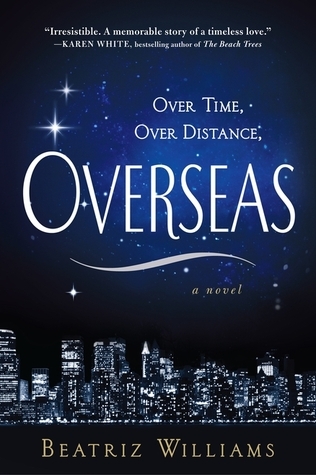 Overseas by Beatriz Williams —If you like the romance of time travel, this one's for you. Overseas bounces between modern New York and the Europe of World War I, telling the epic love story of Kate and Julian. To be honest, I wanted to read a little less about the characters falling in love and a little more about the actual complications of time travel that affect poor lost-in-time Julian (who makes a scrumptious leading man). While Kate borders on the Mary Sue-ish, she redeems herself in the last act, which picks up speed and zooms to the end. You'll mourn for all of the men lost in the trenches of WWI, and you'll enjoy the way Williams plays with the ripples of the past and the challenges of finding yourself in the future. 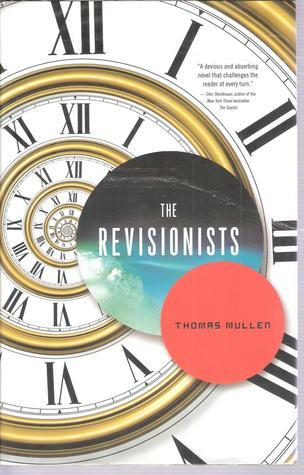 The Revisionists by Thomas Mullen — Zed has come from the future to stop an impending catastrophe that will lead to Very Bad Things for present-day America and the rest of the world. During his mission, he gets tangled up in some recognizable contemporary issues: unrest over American military involvement in the Middle East, the CIA's insidious involvement around the globe, and the abuses that the privileged perpetrate on the powerless. It's a book that crackles with our present international tensions, with the added observations of a man from a near-perfect future who's disgusted and a bit overwhelmed by our time. This book didn't work for me, though; it unraveled by the end, and I was left feeling a bit cheated. Still, it's a serious-minded look at the world and how it might appear to people from a more enlightened time. 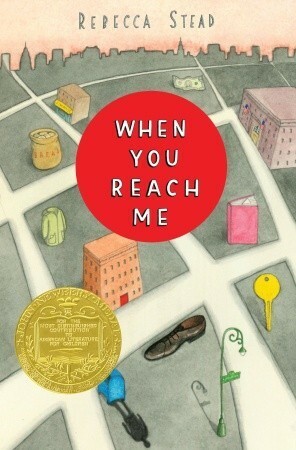 When You Reach Me by Rebecca Stead — This is a children's book. Not YA, but children. And it's excellent. Miranda starts receiving notes about the future, and she slowly comes to realize how they all fit together and what they might mean about her own future. It's a puzzle, and its solution is one that will surprise and move even adult readers. 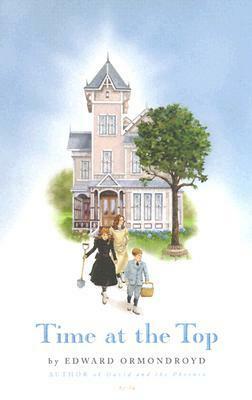 If you've got kiddos, get them started in the time travel genre with this book. Time at the Top by Edward Ormondroyd — I read this book as a 10-year-old, and it was the first one to make me ponder how people in the past could affect the future through their actions. This is a lighter book than When You Reach Me, and it has a charming, ambiguous ending that lets readers continue the story in their own minds. So, readers, what are your favorite time travel books? Hit me with your recommendations! there's one i read as a teen, Both Sides of Time by Caroline B. Cooney that i just absolutely loved. i still remember that book after all these years. i'd like to read the rest someday. and there's the more recent find, Pathfinder by Orson Scott Card. its focus isn't entirely on time-travel, but it does a absolutely amazing job at executing time-travel and other time-manipulation abilities. Ruby Red by Kiersten Gier is another good one that came out not too long ago. there aren't too many recent time-travel books that have really blown me away like Pathfinder did, but i'm always on the lookout. Thanks for the recommendations. I love time travel, and have not read any of those except the Doomsday book, which I loved, although personally I liked Connie Willis "To Say Nothing of the Dog" a wee bit more. Some of my other recent favorites are "The Coffee Shop" by Lauren Hunter, "Out of Time" by Monique Martin, and "Replay" by Ken Grimwood. I liked the The End of Eternity, I did not read the rest of your list. I just finished a intriguing book about time travel where the universe is considered a conscious entity playing a direct role in civilizations' advances. It starts with a "training" of a human character in the Egypt of Akhenaton and Nefertiti but most of the action happens in the past of other planets. And again I ordered a book (the one by Rebecca Stead). It's always so dangerous to visit this blog! Diana Gabaldon's "Outlander Series" although time travel is a small portion of the plot, it's certainly a critical element! I also loved Connie Willis "To Say Nothing of the Dog"
There's time travel in Deborah Harkness "A Discovery of Witches"
I was ecstatic when Stephen King tackled this genre and I put 11/22/63 in the column MY FAVORITES and thought Beatriz William's Overseas was well done. All the details are perfect in this post and very useful also. This is a brilliant informative post and i love to read this post. Brilliant Informative Post! Thanks for sharing. It is very interesting post! It is really useful post. Amazing Post! It is very interesting post. Thyanks for sharing. Amazing Post It is so Useful and helpful. Thanks For share. Very Interesting post! It is really so useful. Thanks for share. I just want to say thank you for giving this information. here we get the good stuff of information. Cupshe Coupon code If you are looking for Discount coupons available at here. I am reading a blog on this website for the first time and I would like to tell you that the quality of the article is up to the mark it is very well written. Thank you so much for writing this article and I will surely read all the blogs from now on. Thank you so much for caring about your content and your readers. Read more QuickBooks Error 3371 and QuickBooks Proadvisor Support.